Lightweight - this 24" model. Shaft has a plastic coated S hook at one end. Shoe horn on opposite side. 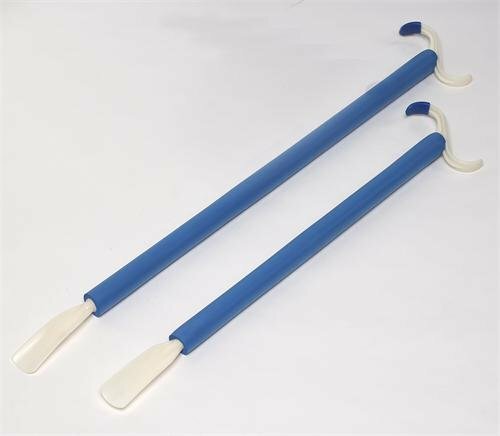 Can be used for both pulling on and pushing off clothes.